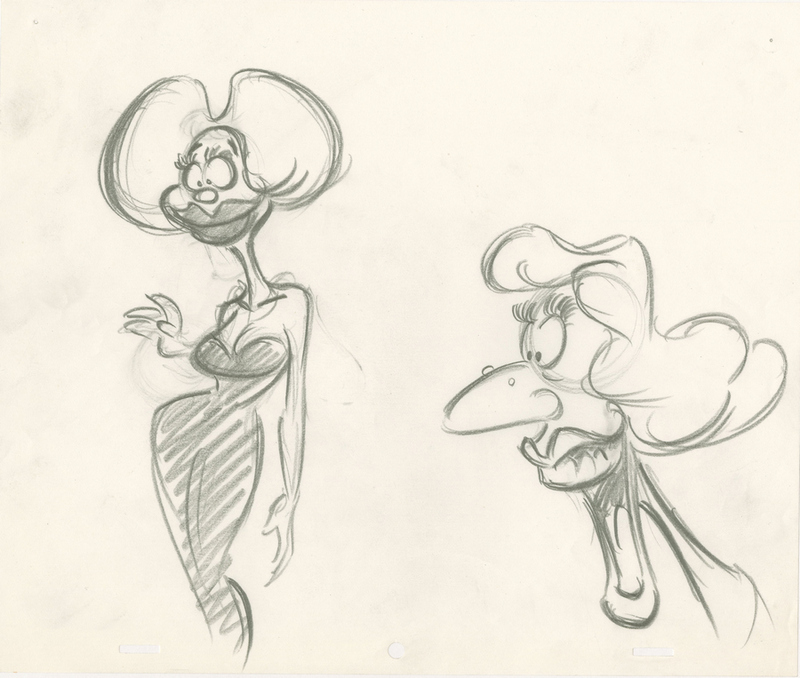 This is an original developmental drawing used in the creation of the Walt Disney Studios production Who Framed Roger Rabbit? (1988). 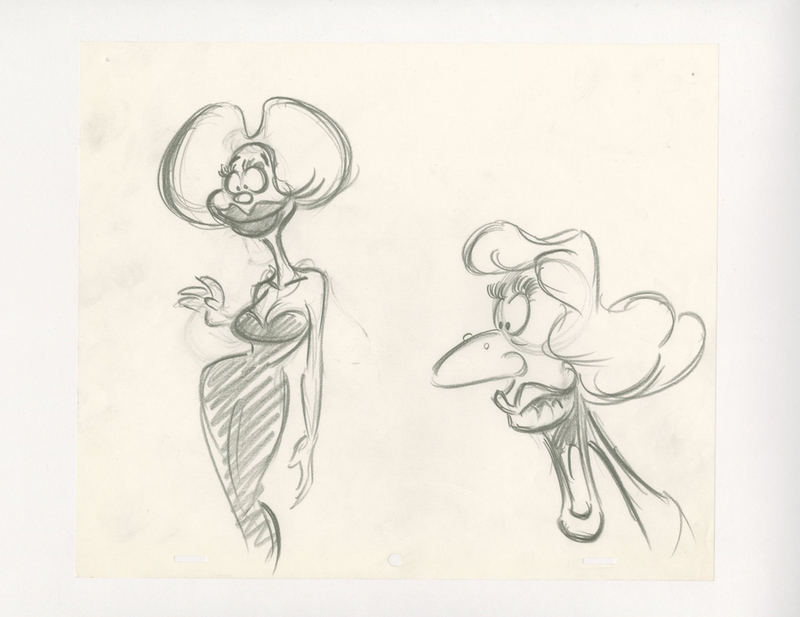 The drawing features early drawings of Lena Hyena. It was created at the studio and used during the production of the film. The overall measurements of the piece are 10.5" x 12.5" and the image itself measures 9.5" x 10.5". The drawing is in very good condition with light page wrinkling throughout and a pin hole in each of the top corners.